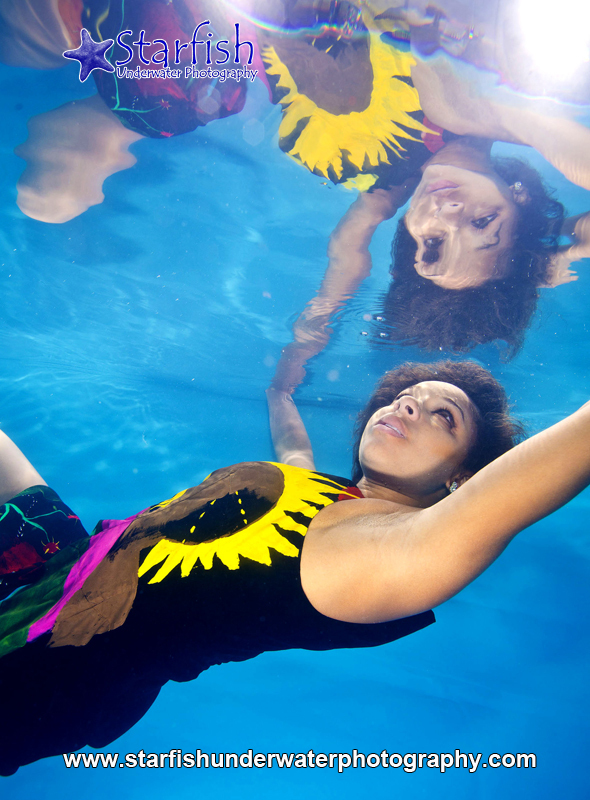 Underwater photography is perfect for showcasing clothing, and what better way to demonstrate hand painted clothing is machine washable, than to dunk it in a pool and prove it! There were no big clouds of colour underwater and the vivid colours creativeplanets use in their painting work really well in the pool. Models Emily Rose Arno and Krystal Geddes look fantastic underwater!